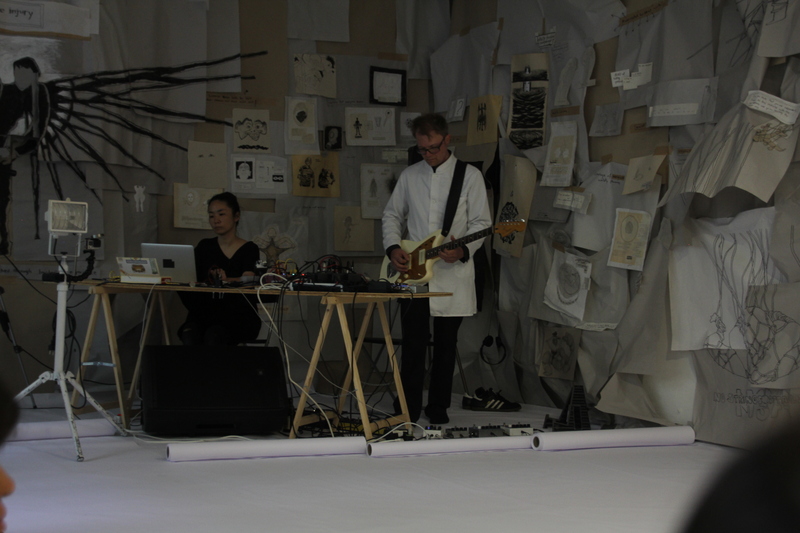 Ranbu is an improvisational performance created by a Japanese calligrapher, a musician, a body performer and an eTextile costume maker. 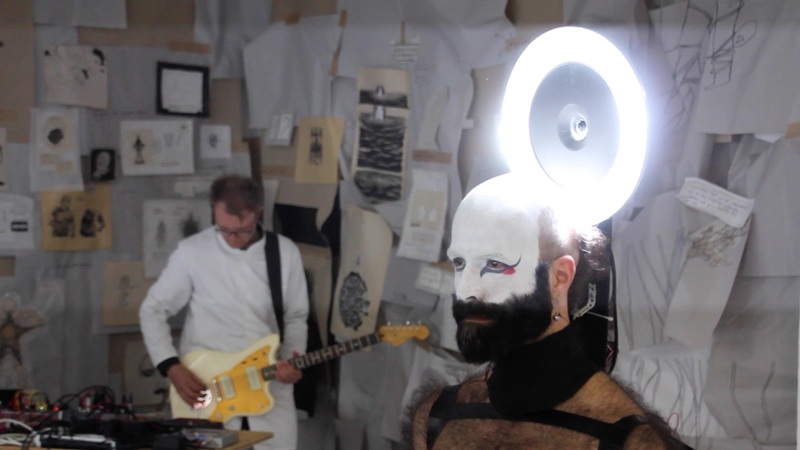 The calligrapher and the body performer’s movements control the sound filter and the flash light. 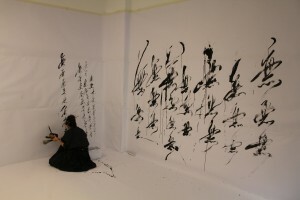 As the space fills up with the words and music, the Ranbu (Madness-Dance) starts to take place. Rambu from mikst on Vimeo. 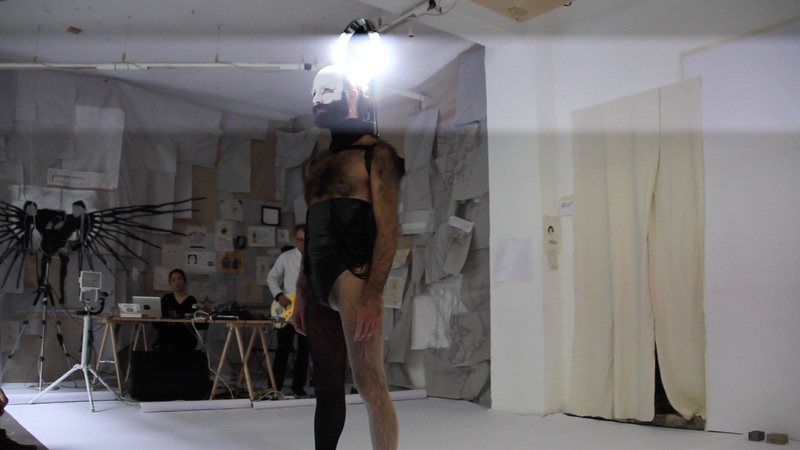 It was performed on the June 4th at the Apartment Project space.